After having our own tissue culture laboratory after 1992 we were able to intensified the breeding. 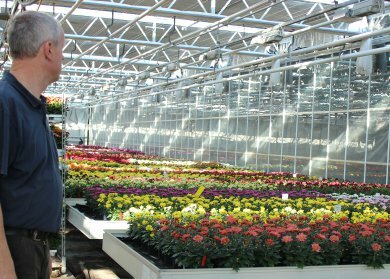 Brandkamp was a pioneer in breeding the completely new Multiflora types at that time. The breeding was further advanced, because only a good own genetic can secure the company’s future. 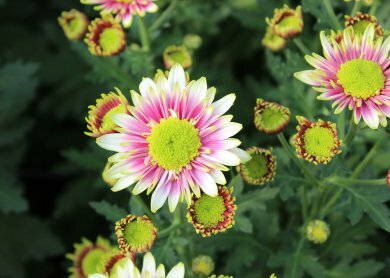 The chrysanthemum breeding was expanded and intensified on pot chrysanhemum varieties. 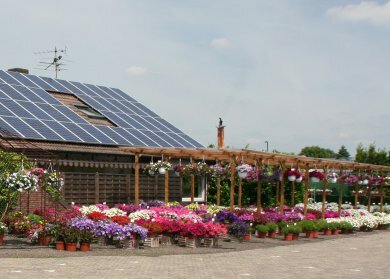 Parallel to the breeding of bedding plants was begun very sucessfully. 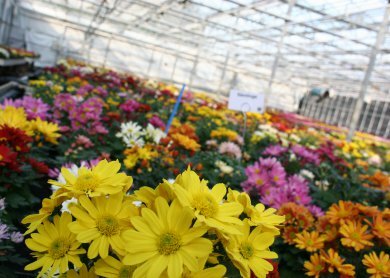 You can find in our assortment in all chrysanthemums and bedding plants our own varities today, we have successfully established on the market. In our breeding we always make sure to make famlies. That makes the cultivation much easier for the cultivators. 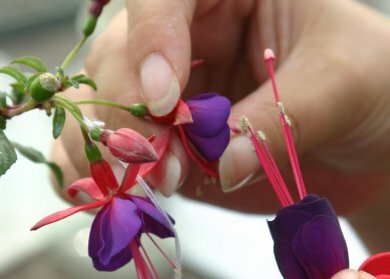 Uniform plants can be produced easily. 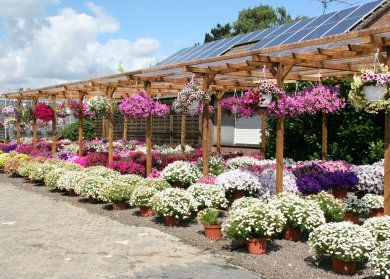 In our show garden we test our complete bedding plants range to its weather resistance every year. Here also the novelties are planted and tested thoroughly, before they are included in our program. 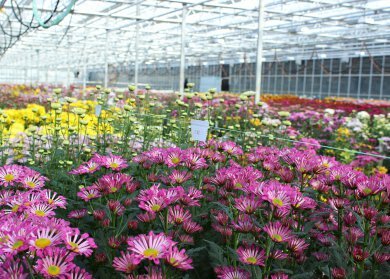 Our chrysanthemums range is tested in the greenhouse or in the field. 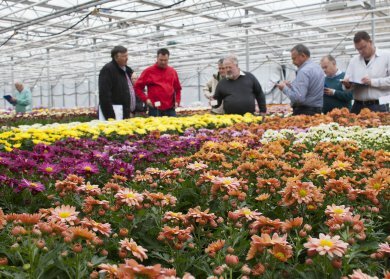 New varieties are reviewed here on their range suitability. The existing program is tested repeatedly to its market suitability and good cultivatability. 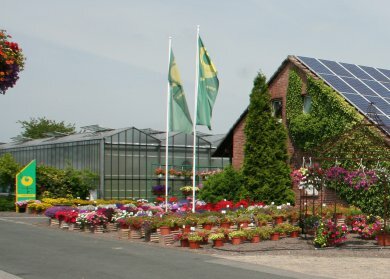 The following products and product lines are own brands of the company Hubert Brandkamp. Products marked in our program with the emblem (s) are protected varieties or applied for protection. 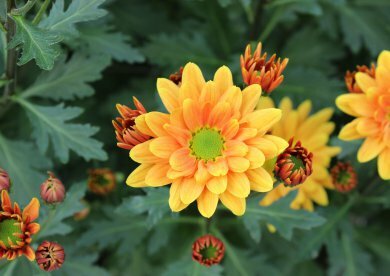 Because of the fundamental propagation prohibition of the protected plants please note paragraph 13 of our general terms and conditions (GTC), which can be viewed under service. If you have any questions, please feel free to contact us. As regards to brand protection and licensing we work together with the company Royalty Administration International® in Holland.